Wildwise is a wilderness out-tripping program which operates out of Pioneer Camp. They offer custom-tailored wilderness canoe trips for schools, youth groups, and organizations of all shapes, sizes and abilities. 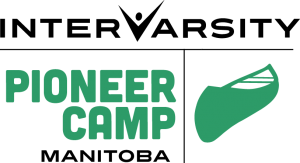 Camp Arnes is an inter-denominational Christian camp, committed to presenting opportunities for children and youth, to experience an unforgettable adventure while hearing the message of Jesus Christ. MB Mission values dependency on Jesus, risk-taking obedience, transforming community, relational integrity and celebration. Their practices and strategy value the Great Commission and the Great Commandment, the least reached, holistic church planting, MB theology, the global MB family, prayer and God’s Word. Outtatown has been partnering with members of Roseau River First Nation since 2009. These partners provide a one-of-a-kind experience where students learn about another Indigenous history and culture, as the church journeys toward reconciliation with the Indigenous people of this land. Redberry Bible Camp is a Saskatchewan Mennonite Brethren Camp that bases its programs on Jesus' command to make disciples. Through their programming, leadership development, and retreats, Redbery aims to share God's love, life, and forgiveness. Their mission is to communicate the good news of Jesus Christ thorugh the uniqueness of a camp experience. Camp Squeah, a ministry of Mennonite Church British Columbia, is a children's summer camp, a retreat centre, and an outdoor education facility. 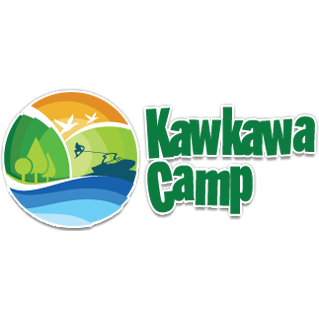 Kawkawa’s mission is to transform, build, and impact lives in God’s creation by living in community, offering programs and services, and teaching and modelling Christ through their camp staff and facilities. YWAM Vancouver runs a program called URBAN MISSION ADVENTURES which is an exciting, short-term, urban outreach experience. Mundo has one school based in the centre of Antigua and another in San Juan del Obispo. Both offer a wide range of Spanish language courses and volunteer programs. New Generation is a program of Mission Impact. 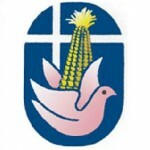 It is an organization that connects youth with God through several programs such as: classes on character and values, small groups, retreats, youth rallies and more. Porch de Salomon is a progressive, non-profit organization which seeks to love, serve, and encourage "the lost, the least, and the last" of Guatemala's Lake Atitlan basin. Their work includes hosting short-term missions teams for building projects and clinics, providing humanitarian relief to indigenous people, operating a worship gathering/cafe, and creatively engaging with Panajachel's "hippie" and expatriate community. The mission of SEMILLA CASAS is to prepare men and women to follow Jesus Christ faithfully and, thus, to live out the reign of God with justice and peace today. MCC is a worldwide ministry of Anabaptist churches, shares God’s love and compassion for all in the name of Christ by responding to basic human needs and working for peace and justice. MCC envisions communities worldwide in right relationship with God, one another and creation. KYP (Kliptown Youth Program) is a non-profit organization dedicated to creating self-respect and self-worth in the children and young adults of Kliptown, the poorest township within Soweto, South Africa. It does so by providing a safe-haven, where essential services, like meals, mentorship, and support, are offered. The African Leadership Institute for Community Transformation (ALICT) is the first international training program of its kind. By training innovative practitioners from all over the world, ALICT equips emerging Christian leaders to usher in the Spirit, principals and work of the Kingdom of God within the sector they are called to influence. In the Transkei, hundreds of years of tradition and culture of the Xhosa people are still alive. In the heart of this lies Mdumbi Backpackers overlooking an awesome beach…the perfect spot for Outtatown South Africa's "Knowing Yourself" module. The vision of Project Gateway is to see local churches mobilized in the areas of Care, Education, and Empowerment, and to provide a model and resource base for the city of Pietermaritzburg and the surrounding communities.